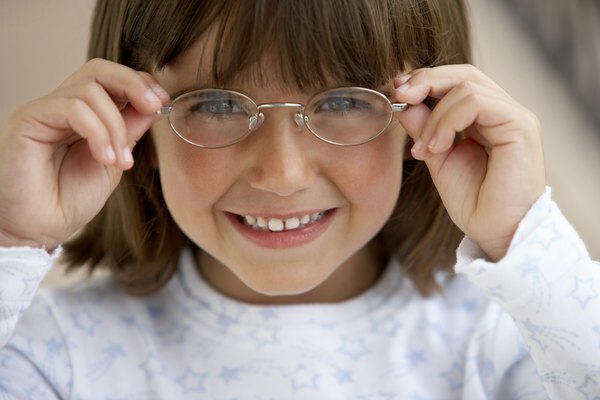 Donating an old pair of eyeglasses can bring joy and tax relief. Many people take for granted either their eyesight or their access to eyeglasses to correct their vision. However, not everyone is as lucky, so some charities collect donated glasses to spread the gift of sight to the less fortunate. If you're giving away your old glasses, you might qualify for a tax deduction. You can deduct the fair market value of your glasses on your taxes – what a willing buyer would pay a willing seller. The IRS doesn't set a specific value for donated glasses, so it's up to you to estimate the value. For example, if you could sell the glasses for $50, you could claim a $50 deduction when you donate them. Chances are, you wouldn't be able to sell your prescription lenses, so you'll probably be comparing the price of used frames similar to the ones you're selling. You can search sites like eBay and Craigslist or check local thrift stores to determine how much someone would pay for eyeglass frames of similar style and age to yours. The IRS almost always requires you to get a receipt for your donation before you file your tax return if you want to claim the deduction; the only exception is when the glasses are worth less than $250 and it's "impractical" to get a receipt, such as if you leave the glasses at a drop site. Otherwise, without a receipt showing the name of the charity, the date you donated the glasses and a description of the glasses, you're not allowed to take a deduction. When you file your taxes, you must itemize to write off your eyeglasses, which requires using Form 1040 and claiming the deduction on Schedule A. Since it's a non-cash donation, it goes on line 8 and then gets combined with your other itemized deductions. If the total value of your eyeglasses and your other non-cash donations exceeds $500, you must also complete Form 8283 to show the IRS what exactly you gave away. If you choose not to itemize because you'd rather claim your standard deduction, you can't deduct your eyeglasses. Just because you're giving away an old pair of eyeglasses doesn't mean they're going to a qualified charity. Only eyeglasses donated to qualified charities, like religious organizations, nonprofit schools or hospitals, and public charities like the Boys and Girls Club or Goodwill Industries, count toward a tax deduction. If you give them to a nonqualified organization or a specific person, you don't get a deduction. If you have doubts, ask the organization if it qualifies or search IRS Tax Exempt Organization Search, an online database of qualified charities. Before you rush to donate eyeglasses to Goodwill, it's important to pay close attention to the changes in standard deductions under the Tax Cuts and Jobs Act. The standard deduction has nearly doubled to $12,000 per person, which means your itemized deductions would have to total more than $12,000 to make it worth itemizing. If you're married filing jointly, you'll have to exceed the $24,000 standard deduction for your household. You'll also lose the ability to claim some other deductions under the new law, such as unreimbursed employee expenses. Instead of donating it for the tax deduction, you might find it worthwhile to recycle old glasses for cash if you can find a resource for doing that. You may also be able to sell them online and use the money to offset the cost of your new spectacles. If you're still filing 2017 taxes, though, you'll find the standard deduction is at a much lower $6,350 or $12,700 for married couples filing jointly. This will make it much easier to exceed the threshold with your charitable donations, particularly if you have other expenses to itemize.